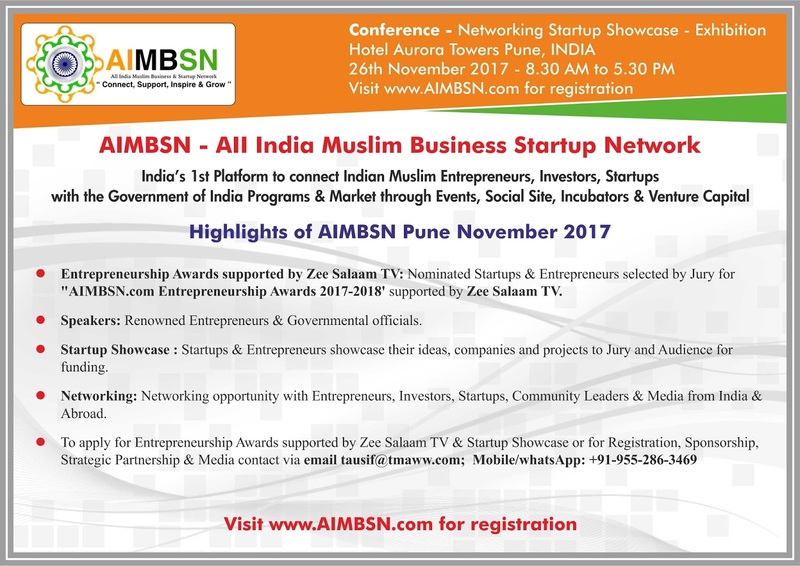 Connect, Support, Inspire & Grow, with this motto, All India Muslim Business startup and Network (AIMBNS) has initiated a Pan India movement to gather Muslim businessmen, startups, investors and incubators under one roof this November, 26 at Pune. This first event under AIMBS banner, will also host Entrepreneurship Awards to felicitate the business achievers. The Purpose of this organisation is expressing the vision of the India’s Muslim community becoming more involved in stimulating the business sector and developing opportunities for the next generation. AIMBSN’s vision and benefit is to connect Muslim community with the Government of India’s initiatives and policies such as Make India, Startup India- Standup India, Digital India & Skill India. One of the founders of AIMBS, Dr.Tausif Malik, is elected Tressure, Democrate abroad, Democratic Party USA's International Chapter. 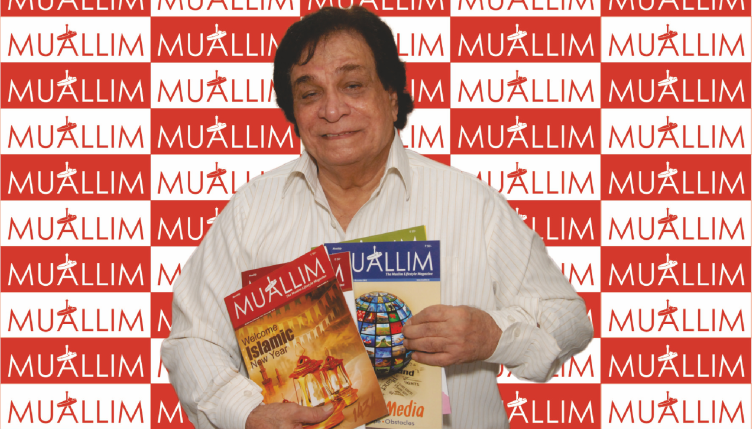 He is the first Indian Muslim to be leceted to this position. He further maintained that after this launch event in Pune, AIMBSN would be held at other locations in India, Gulf countries (GCC countries) , USA, UK & Canada, where there is significant Indian Muslim diaspora, who want to be part of the development of their motherland India. The event will be attended by the doyens of Business owners from the Muslim community.